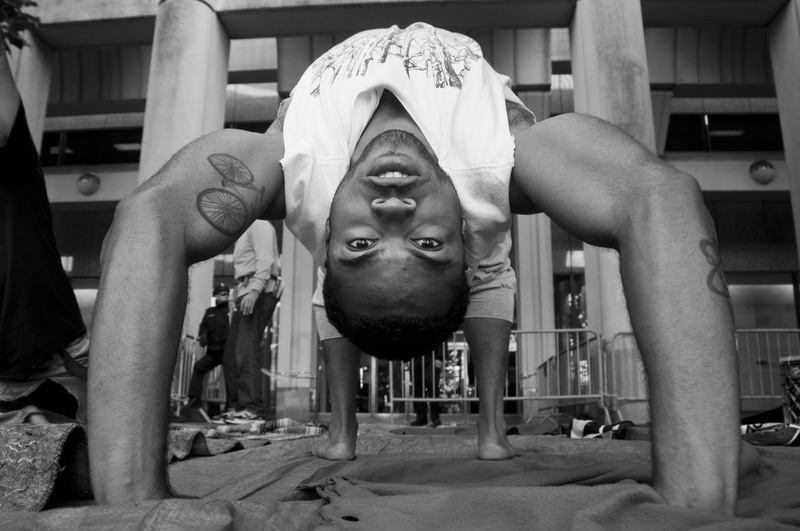 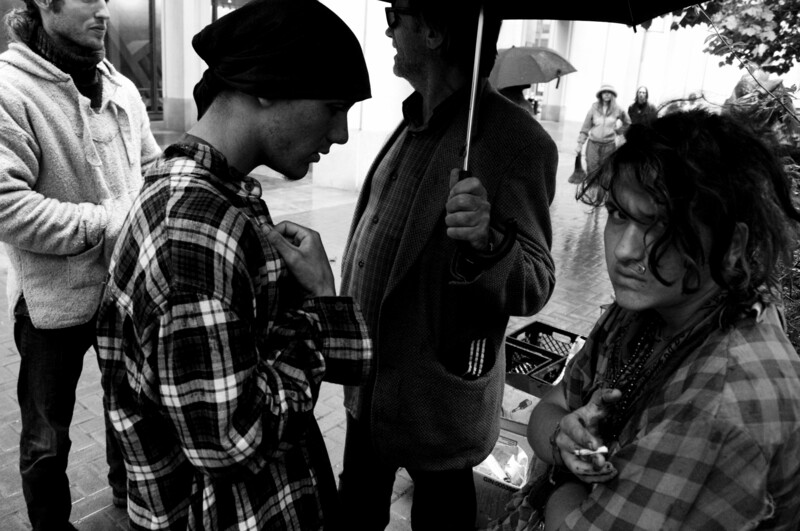 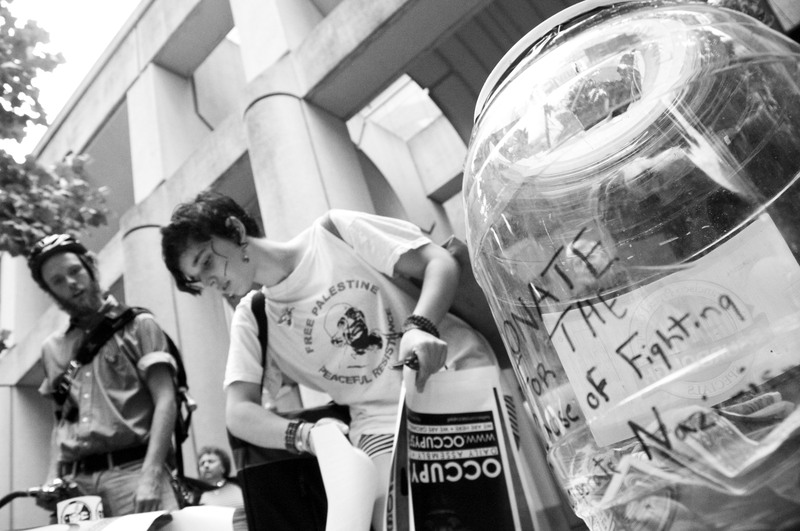 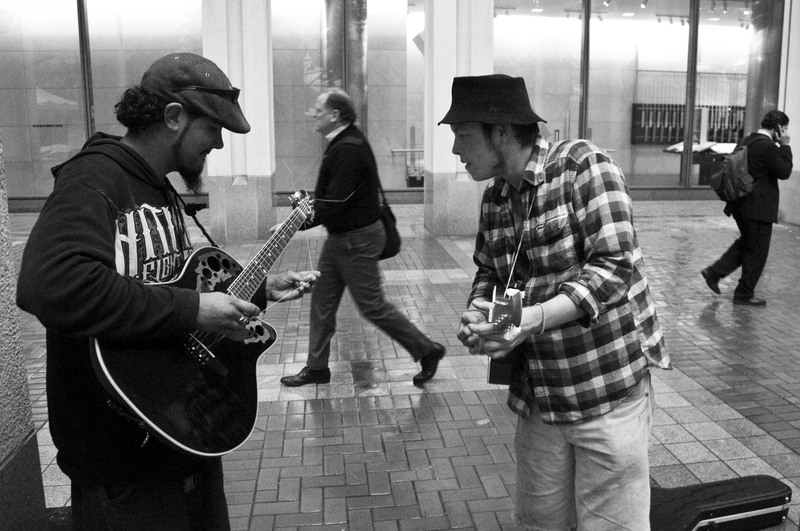 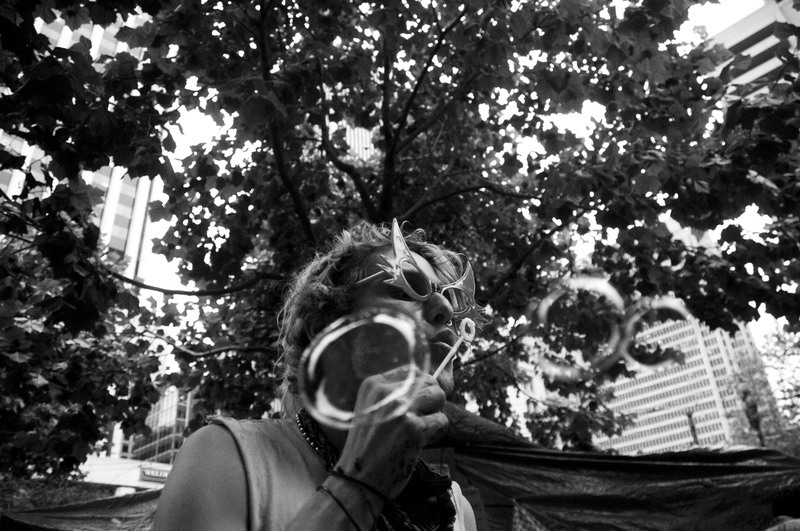 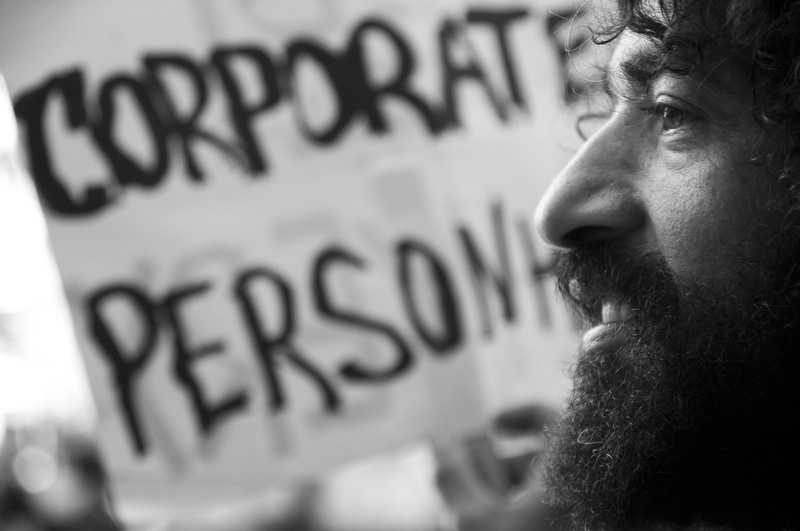 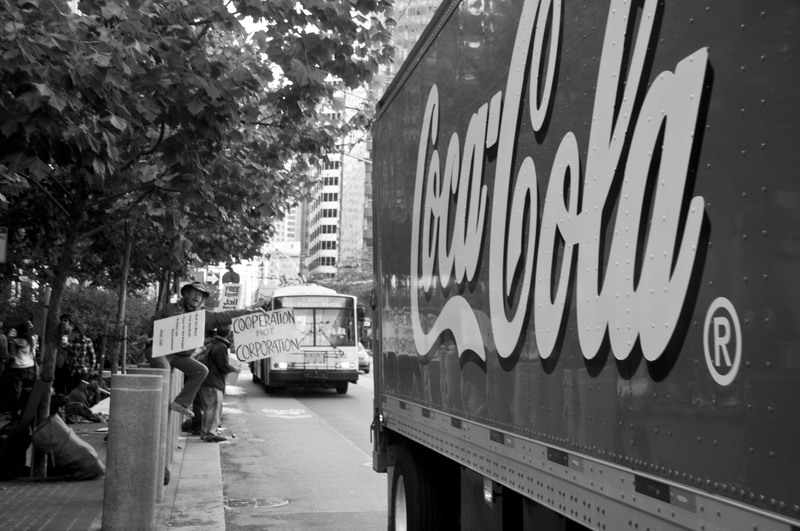 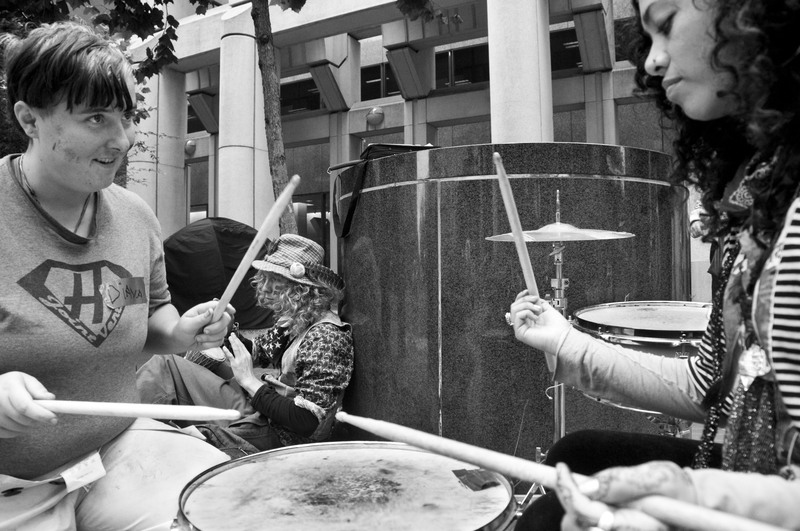 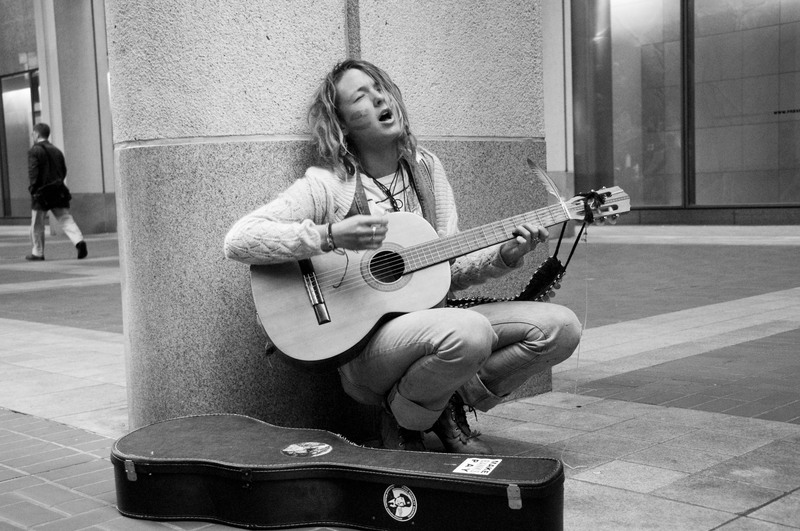 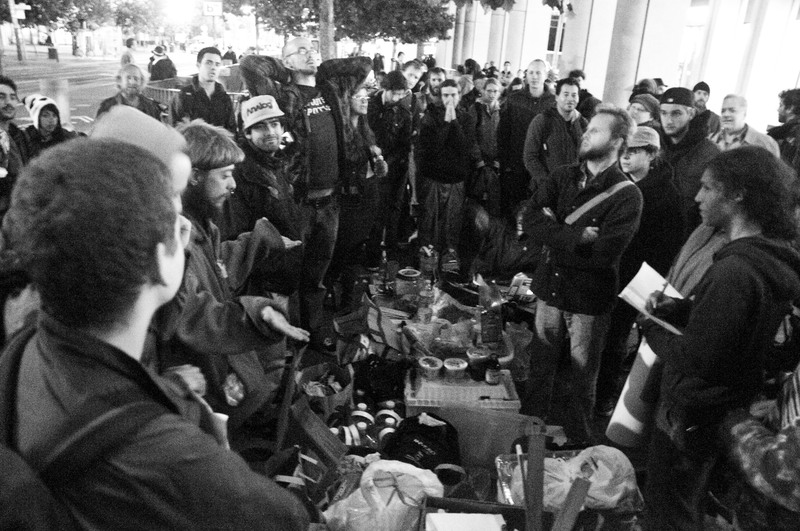 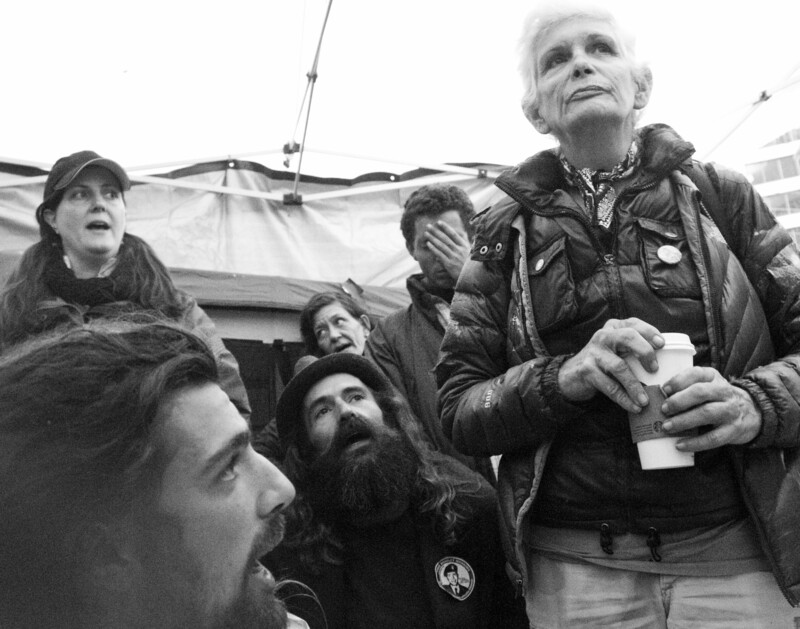 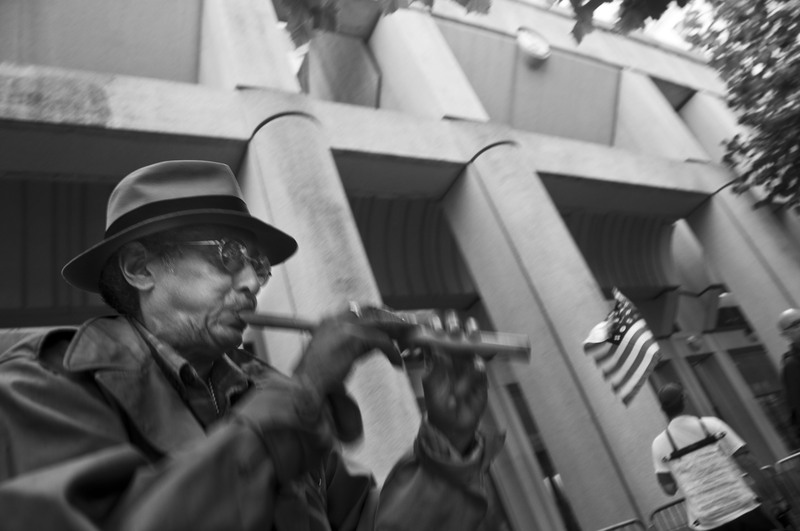 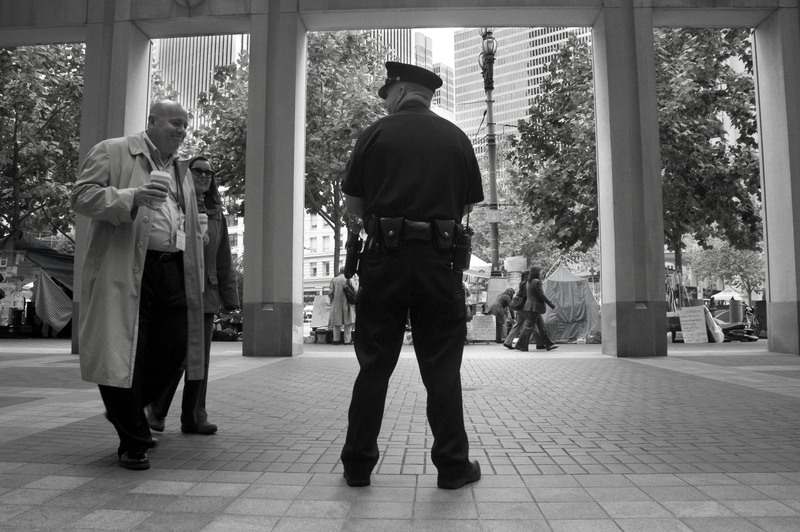 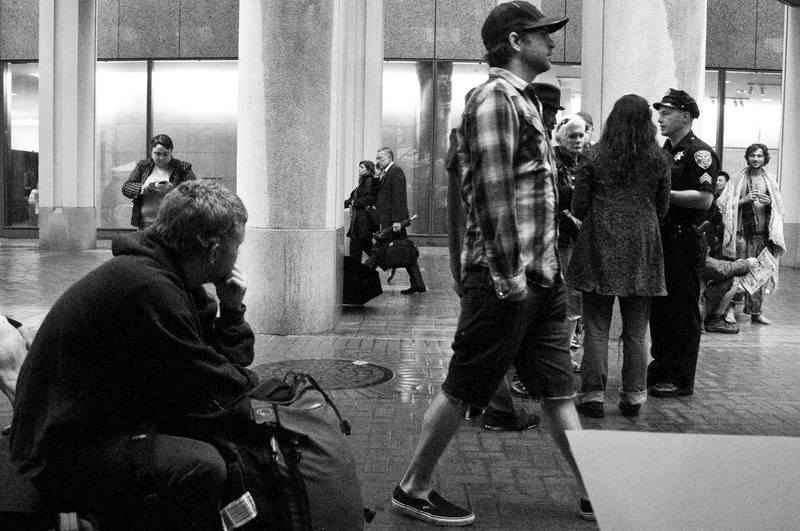 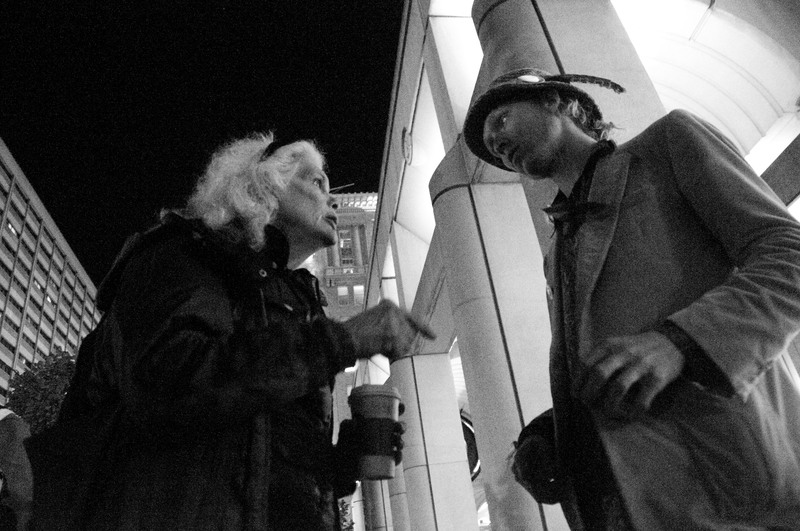 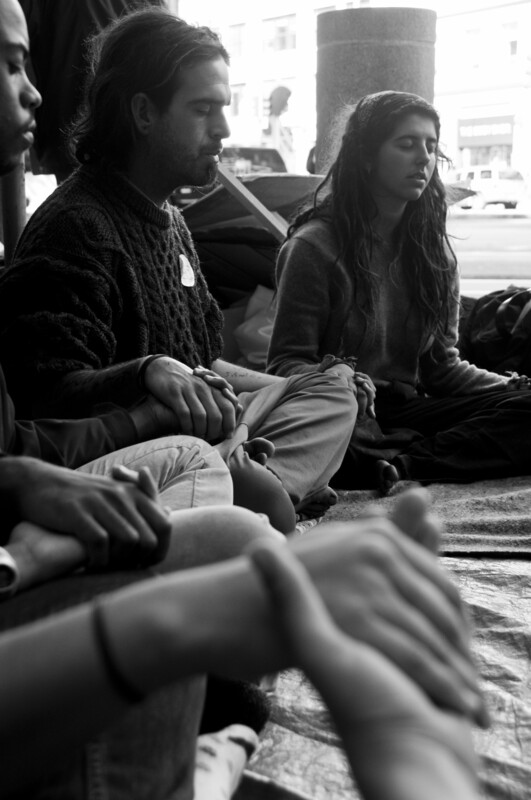 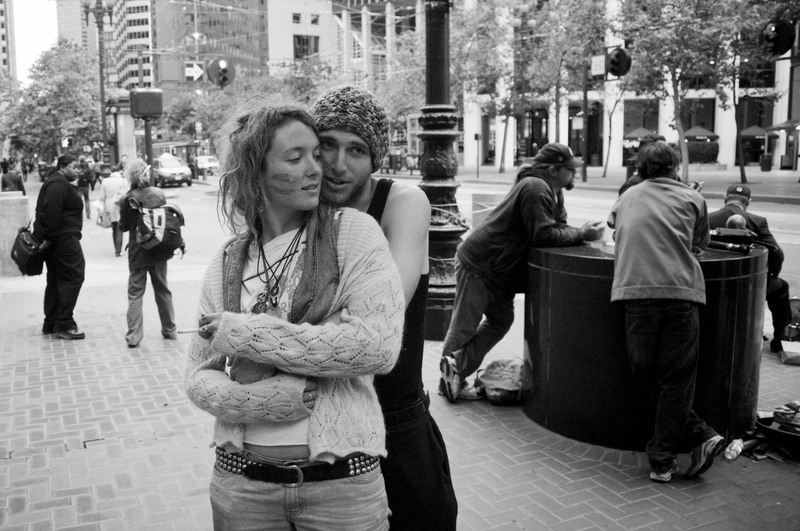 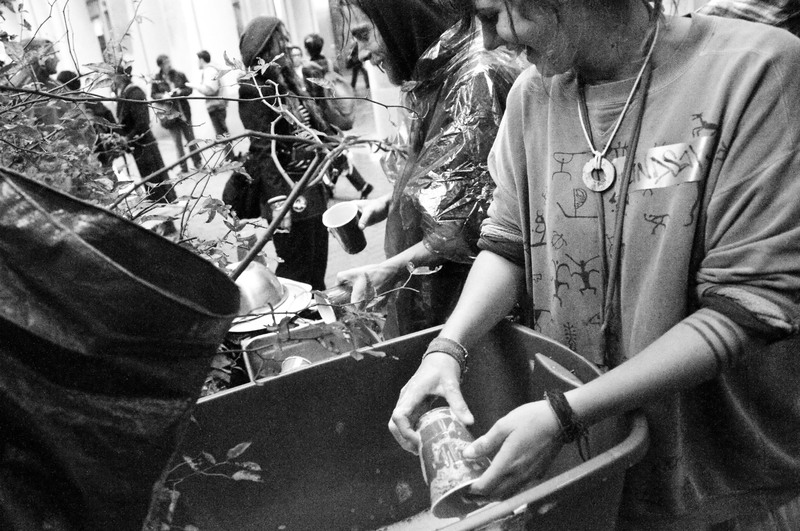 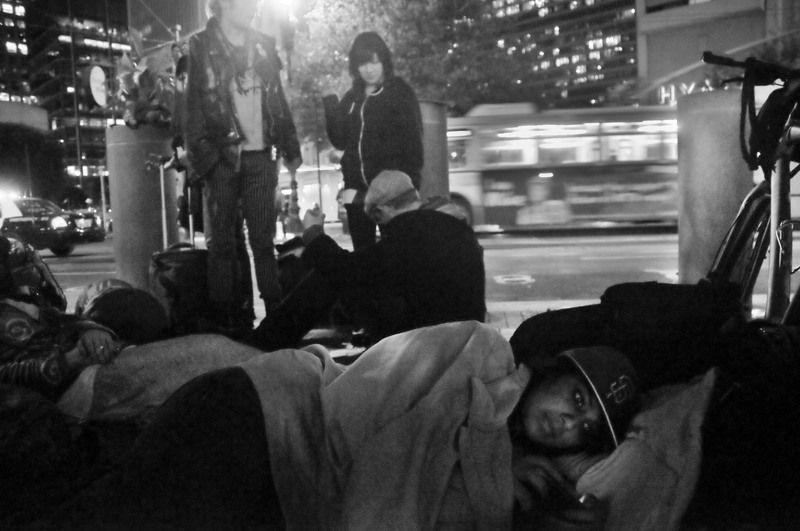 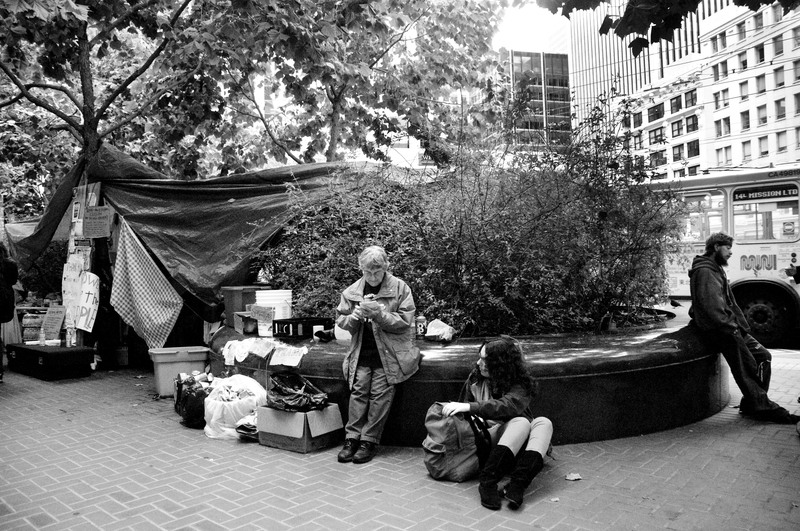 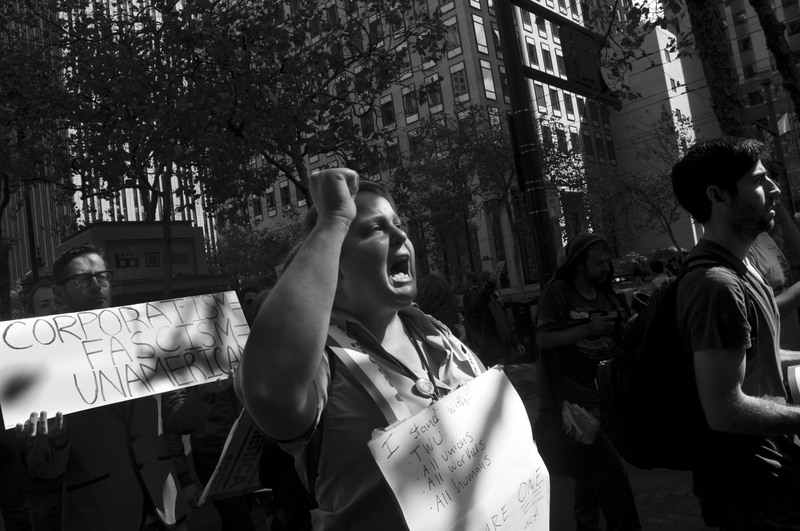 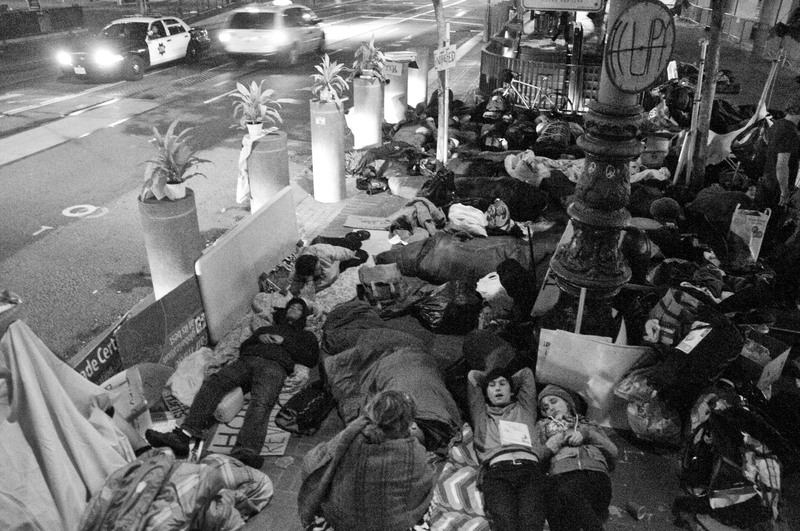 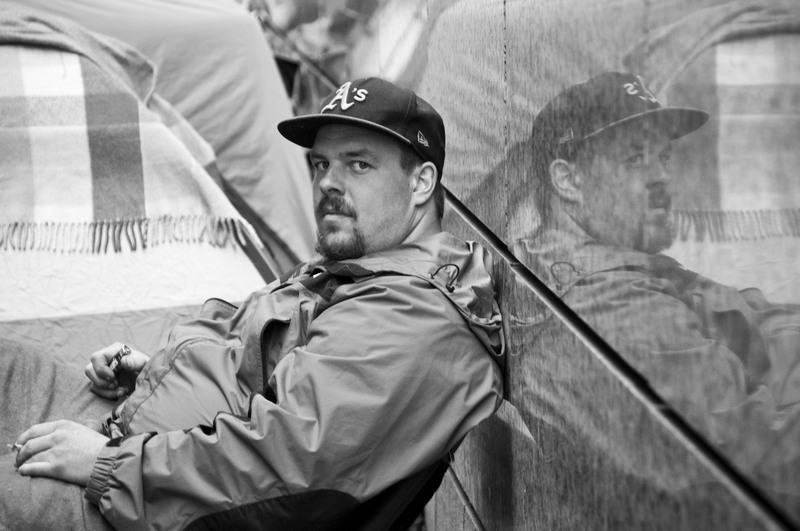 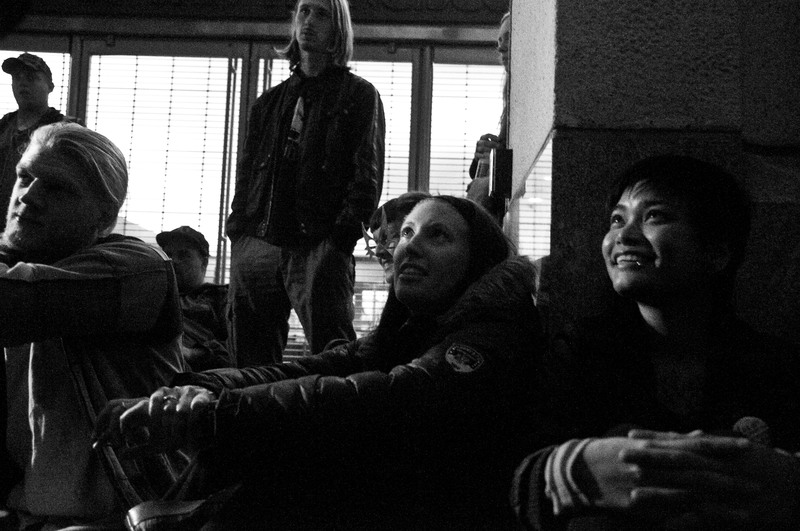 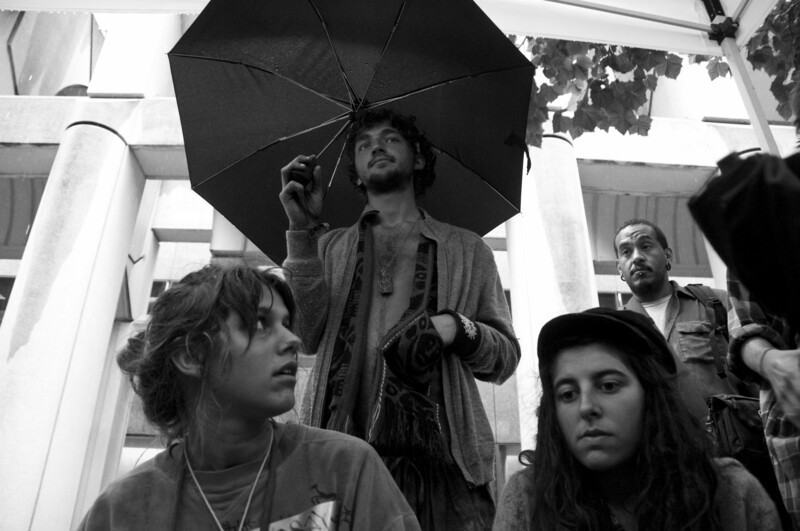 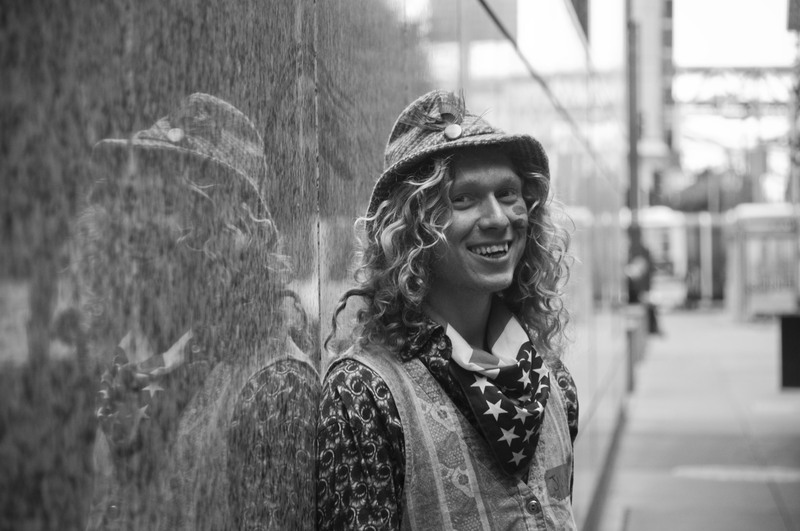 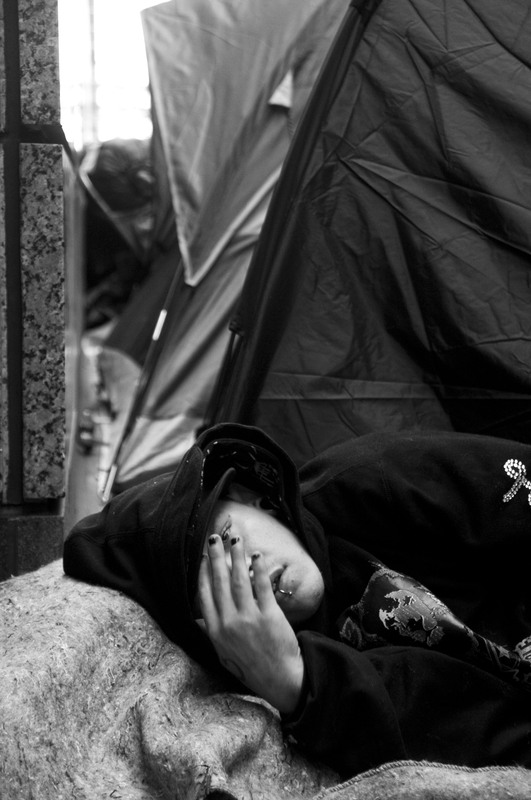 After the public heard the police took away cooking privileges for Occupy San Francisco, to their surprise, the group received more donations than they ever expected, which has attracted even more people. 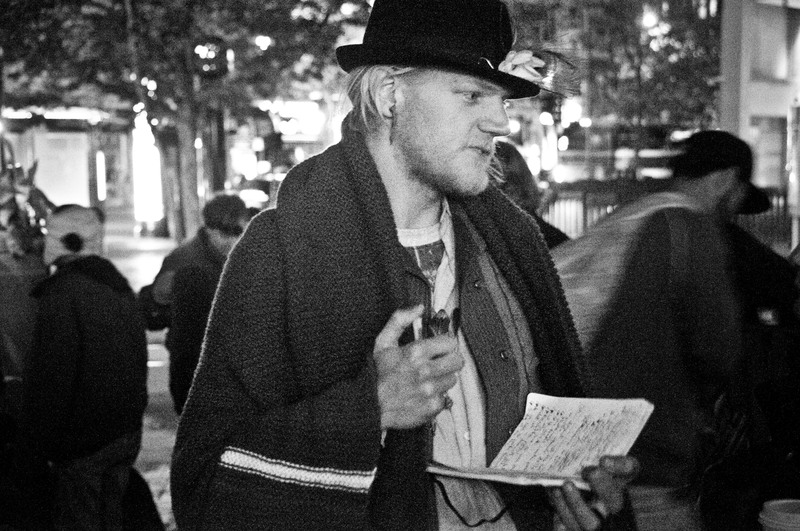 “Phil” mingles within the group, filling his notebook with others’ ideas to hopefully both speed up the General Assembly meetings and come up with the best plans of action of which everyone can agree. 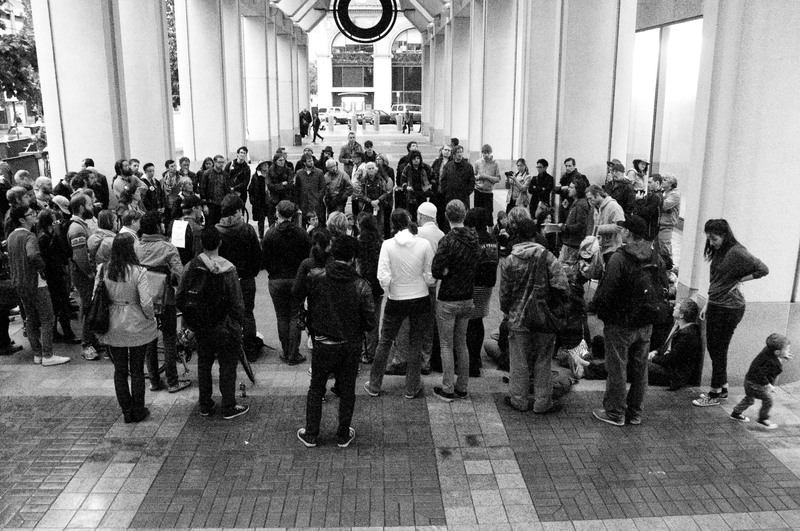 As the group increases in size each day, both nervousness and excitement lingers in the air. 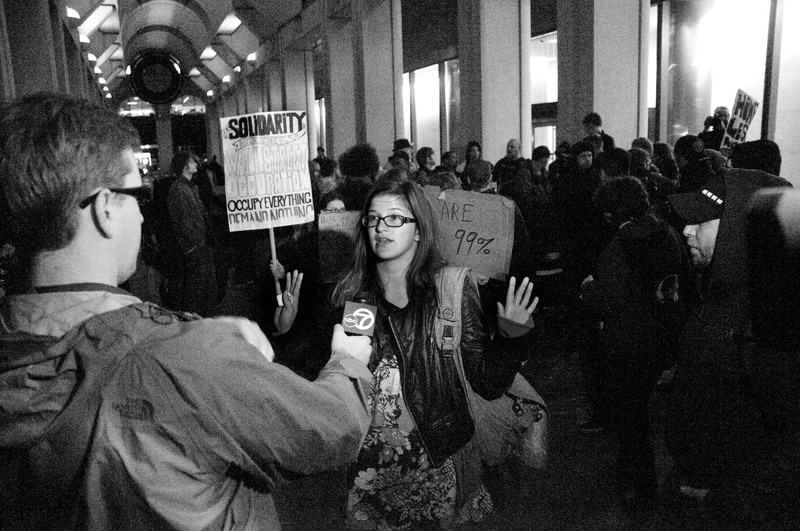 Occupy San Francisco expected no more than a few hundred to contribute to a scheduled protest around the city that turned out to include nearly one thousand people. 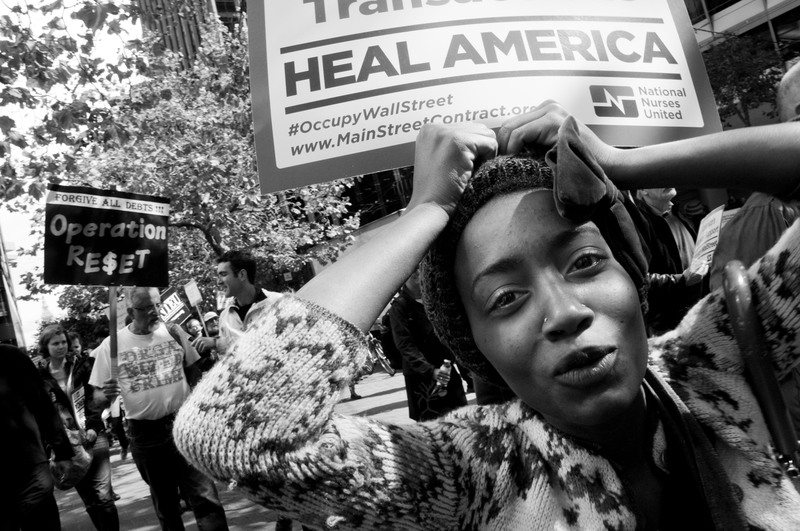 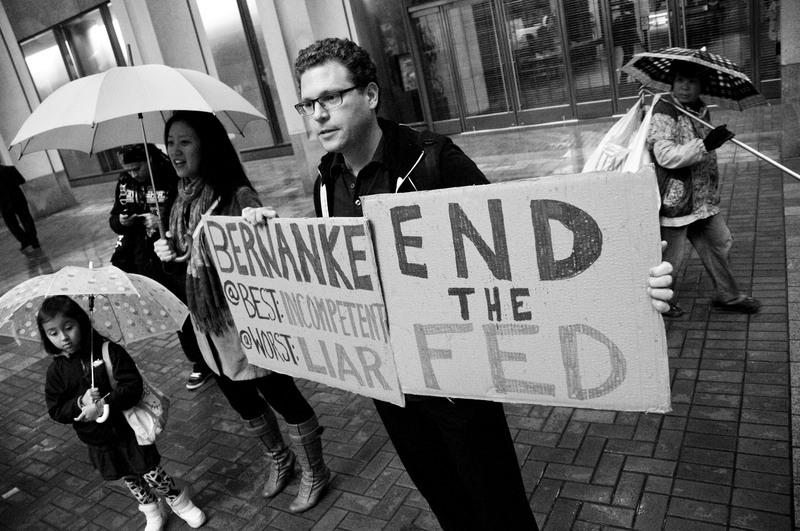 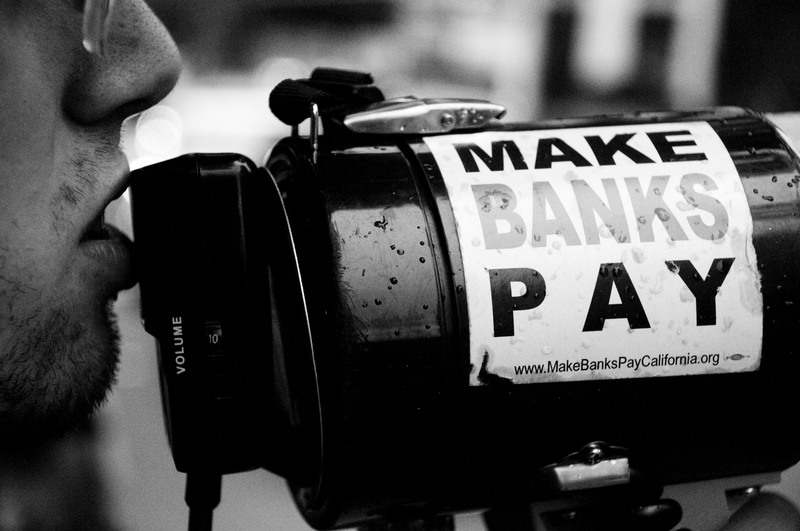 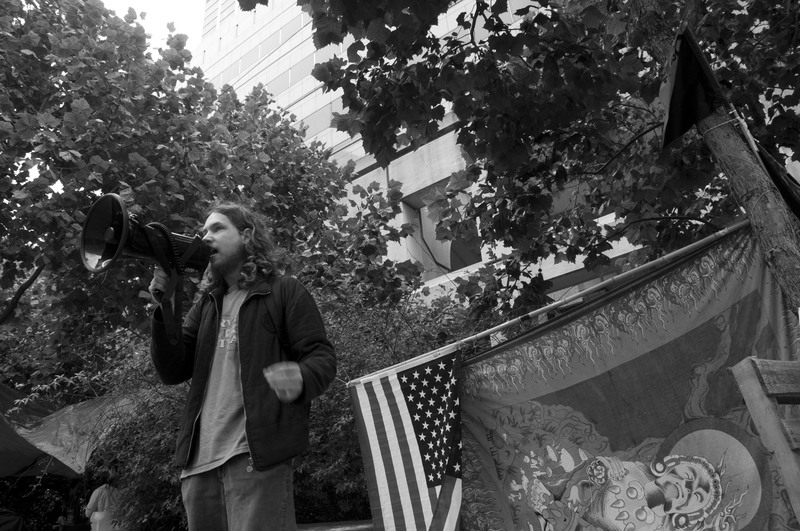 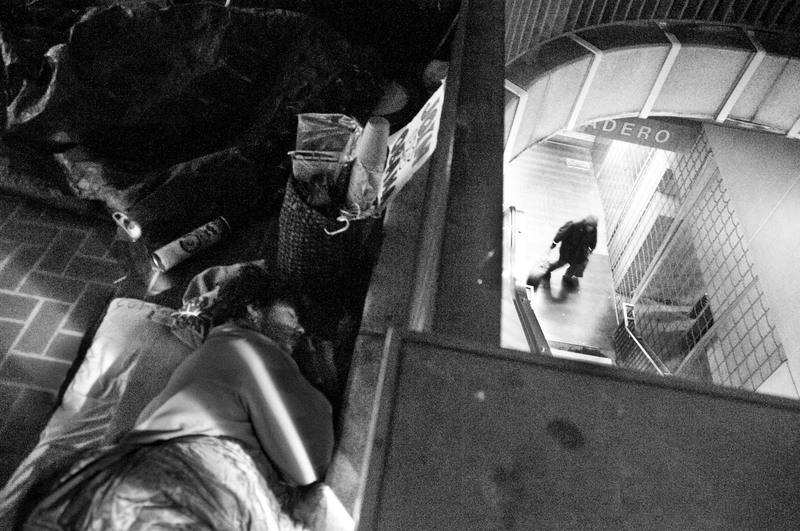 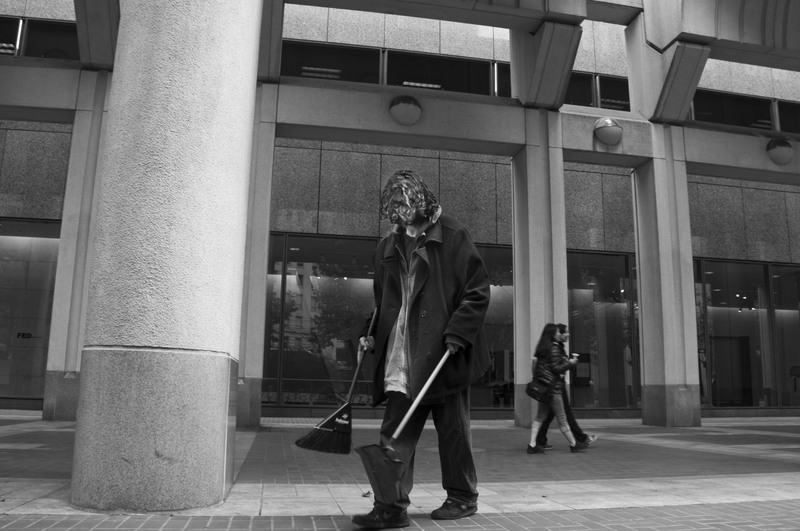 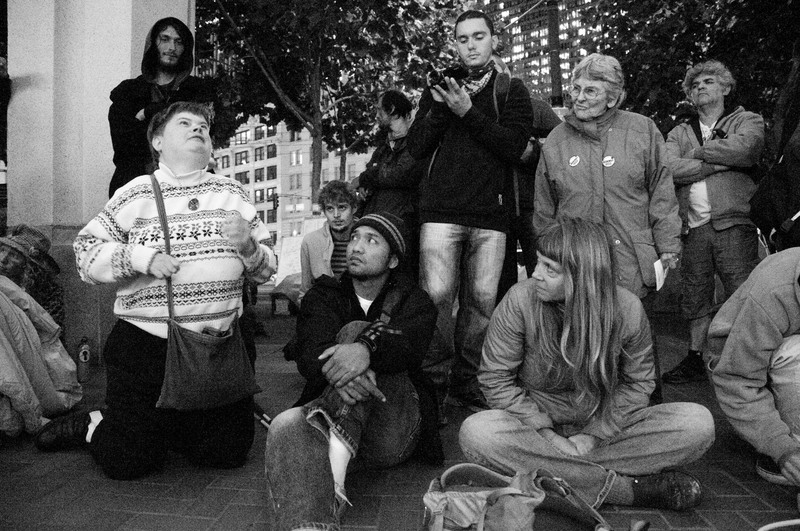 Occupy San Francisco, inspired from Occupy Wallstreet, a movement in NYC against corporate greed and the 1% of the population essentially controlling the other 99%, has become a 24/7 open gathering camp wrapping around the Federal Reserve Bank in the Financial District of the city. 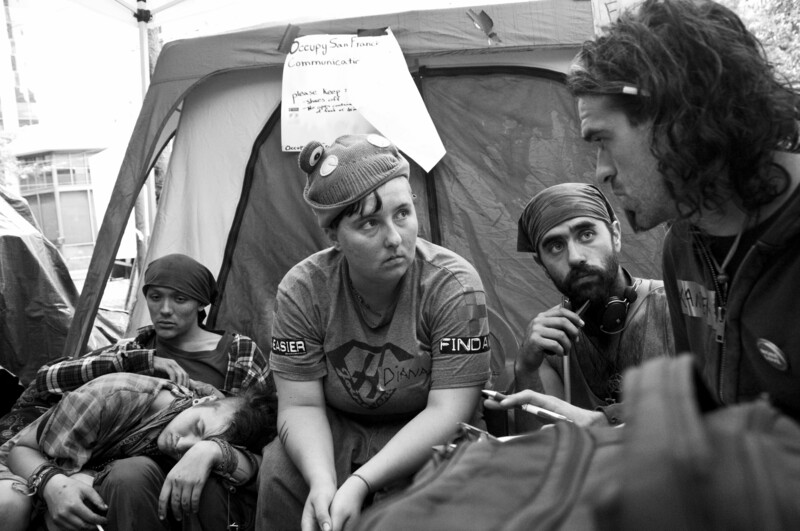 The camp, which has developed a particular functioning system, from dishwashers and cooks to security and a tent construction team, welcomes everyone to come and have a free meal, a space in a tent with some bedding, and join the music and conversations that they believe will spark the change. 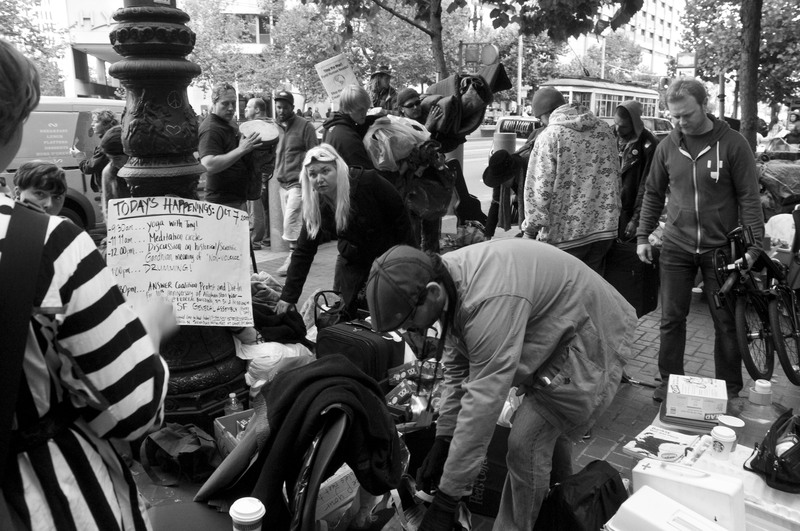 Occupants make a point to keep the camp as clean as possible. 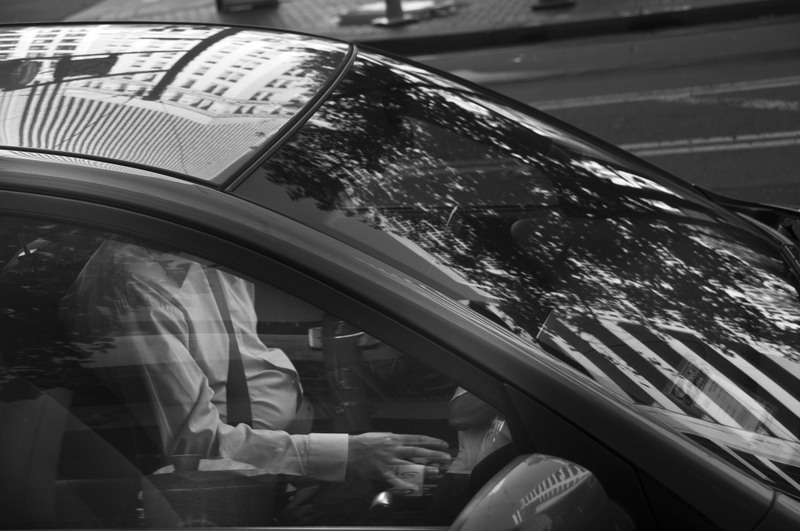 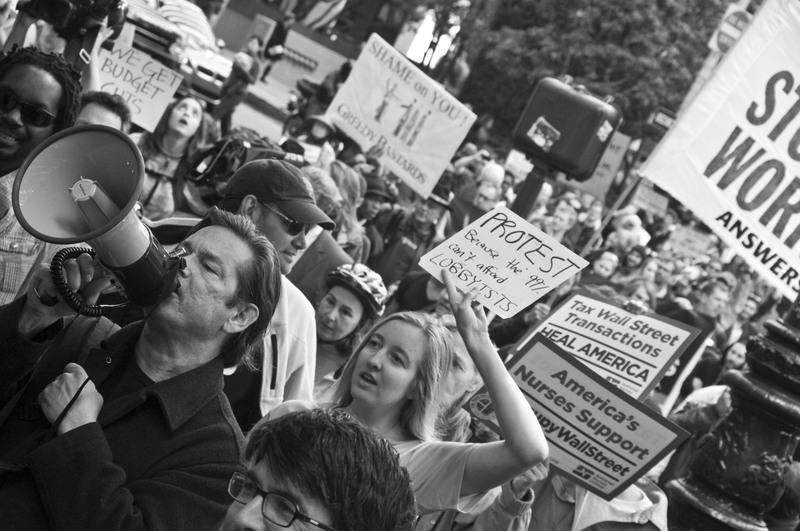 The movement has attracted aggravated Americans from all walks of life. 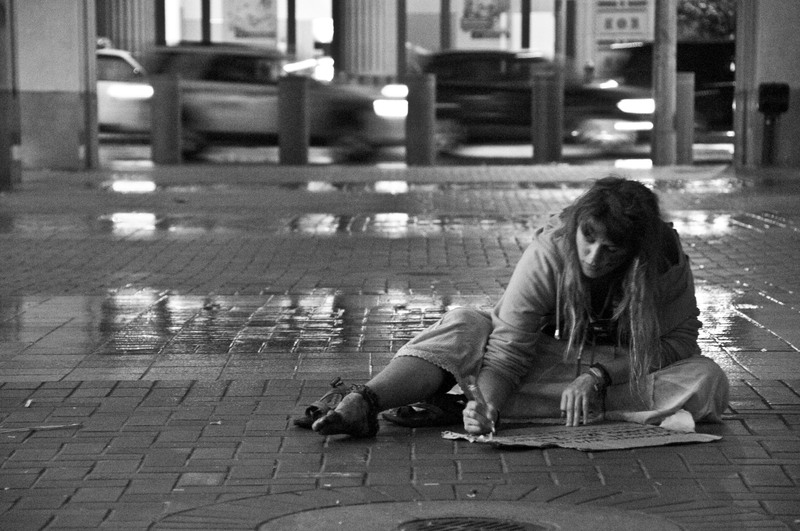 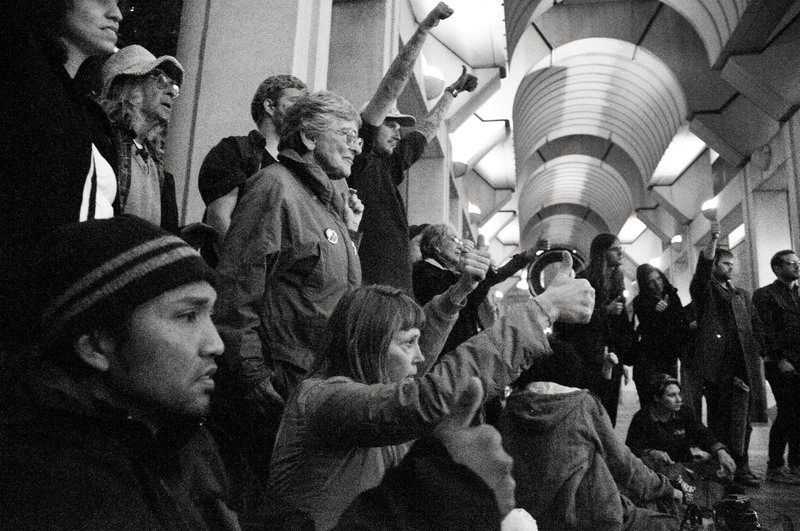 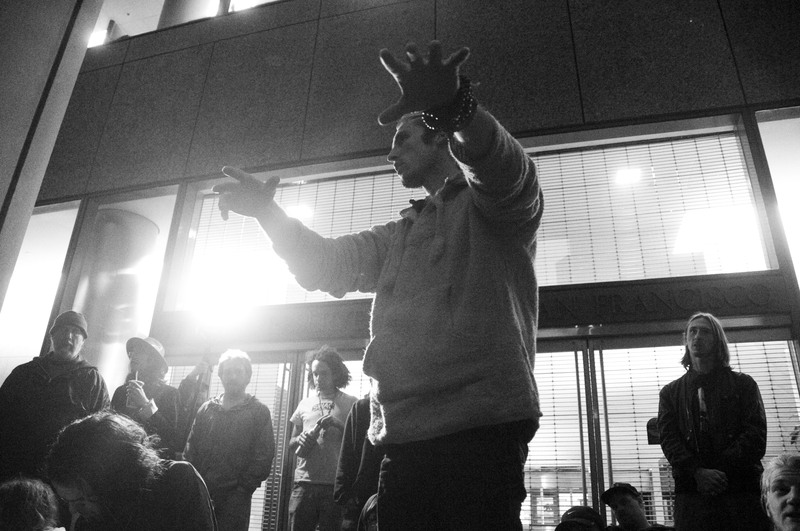 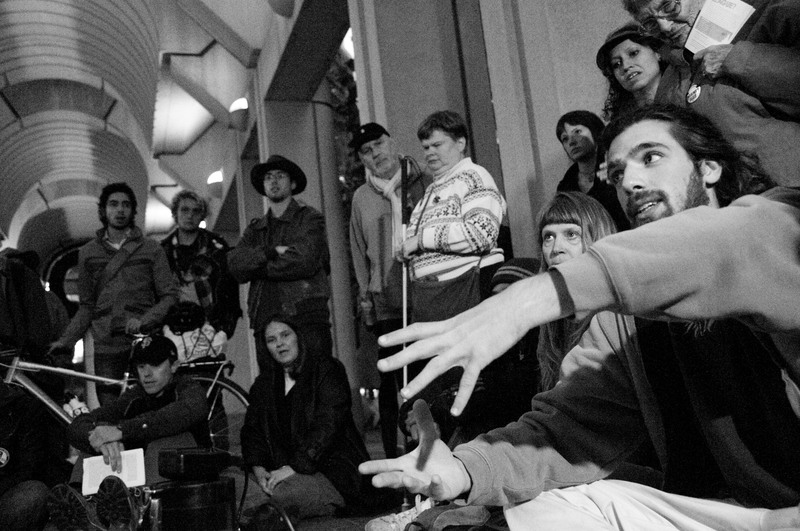 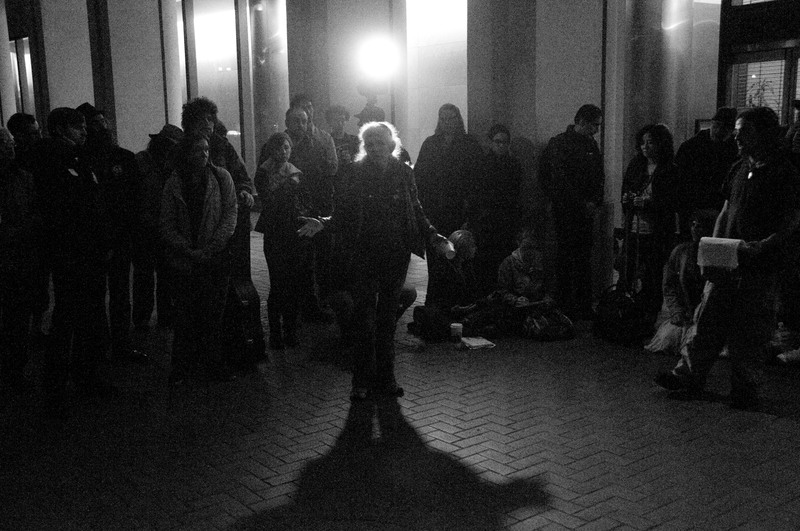 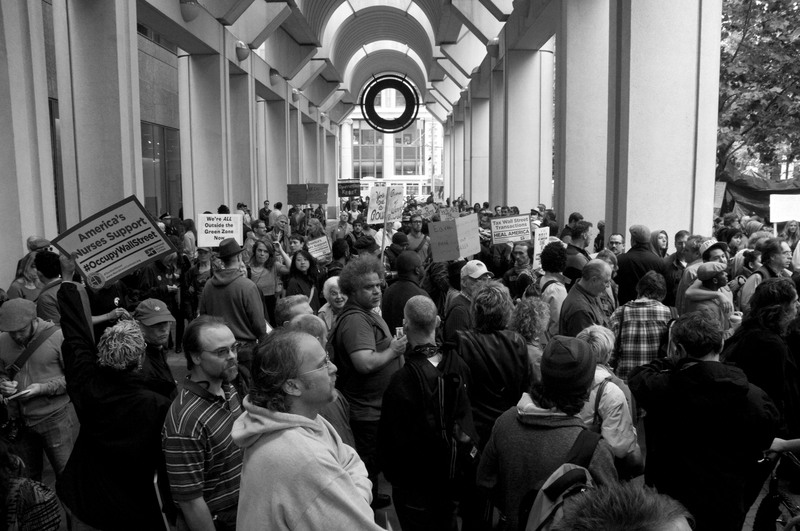 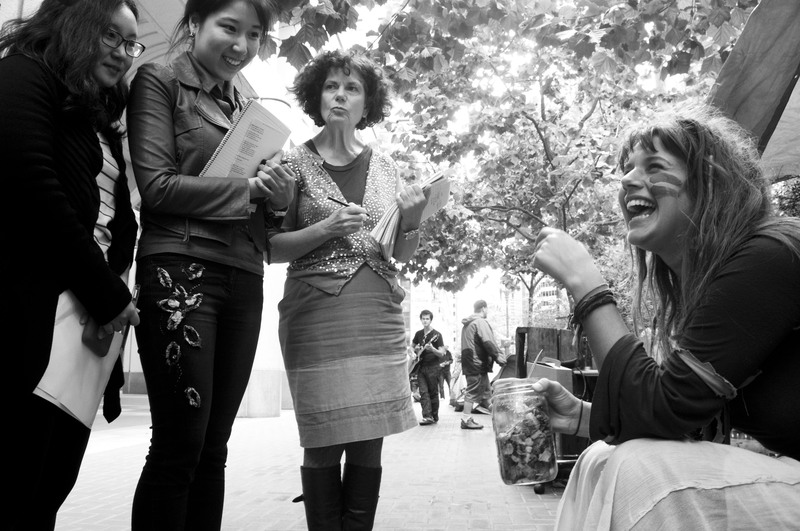 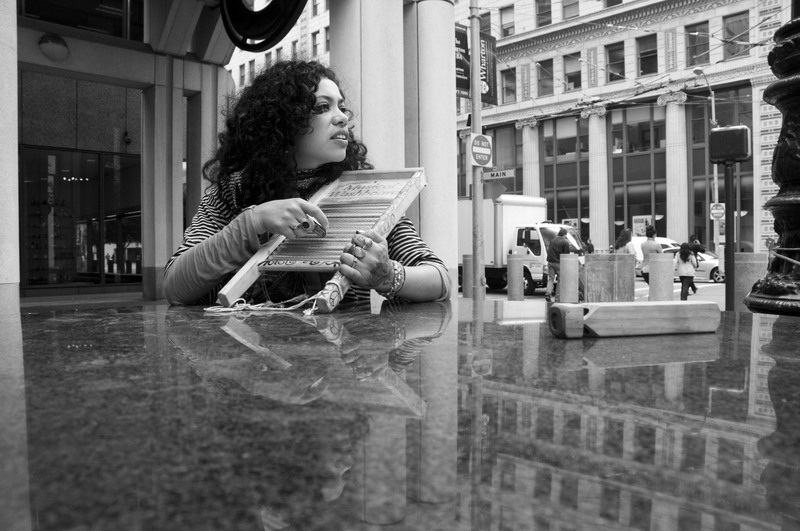 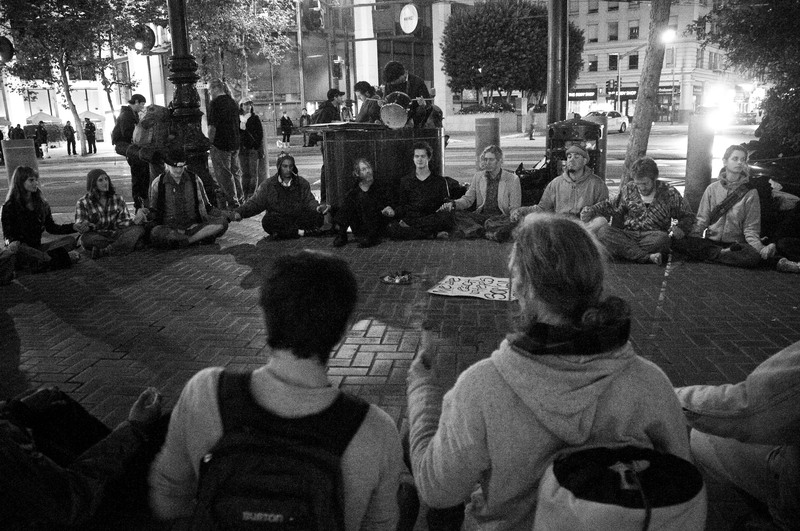 Every night at six, Occupy San Francisco hosts a “General Assembly Meeting,” where anyone and everyone are invited to contribute to the decision making process through ideas and voting. 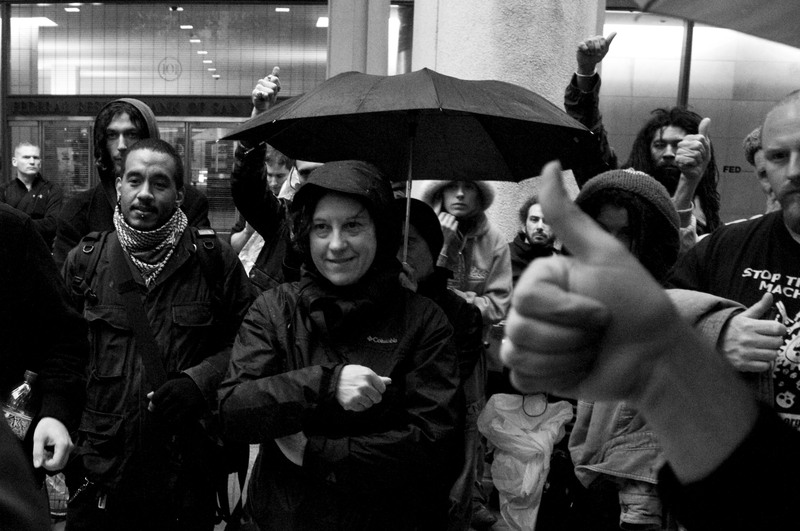 Every action is decided through a voting system: thumbs up to support to the amendment and thumbs down to continue the discussion. 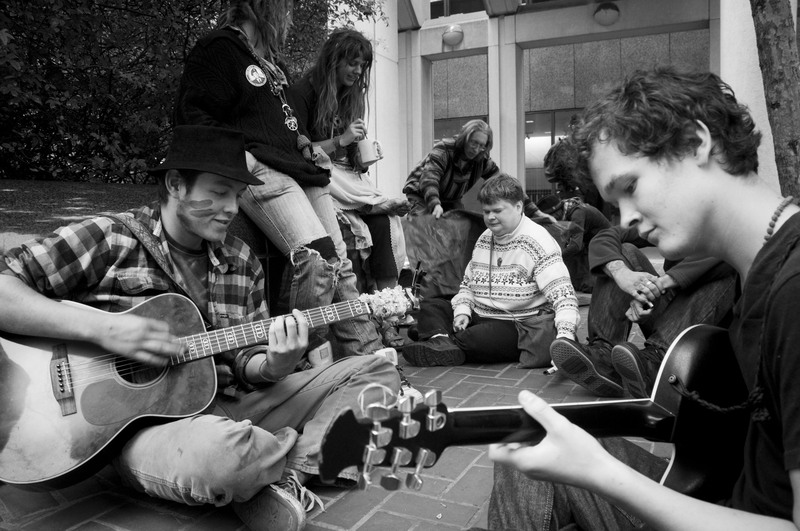 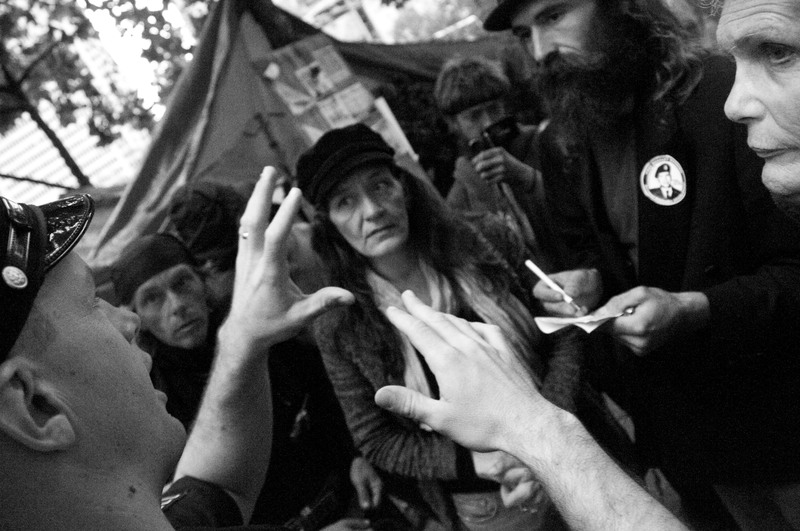 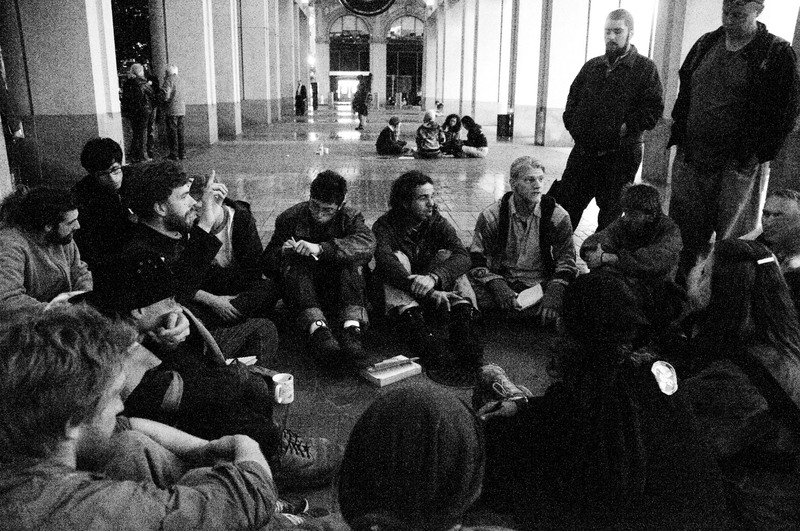 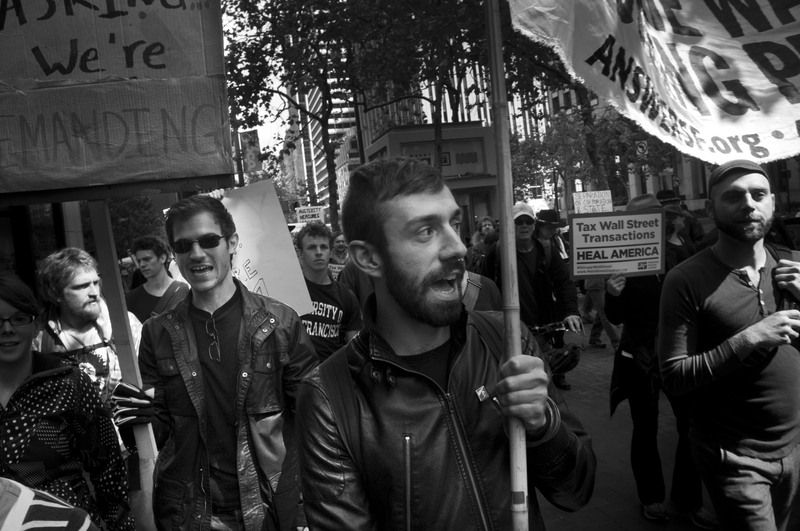 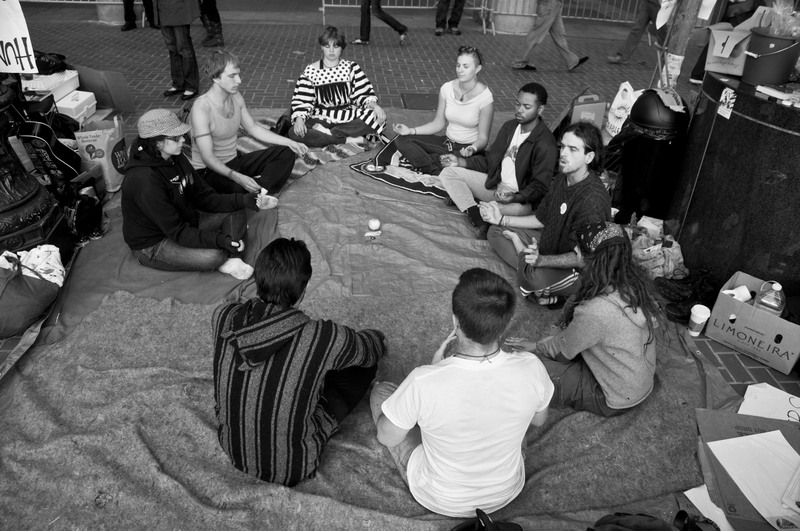 After a General Assembly meeting, Occupy San Francisco separates into “committees” to discuss future operations for the camp. 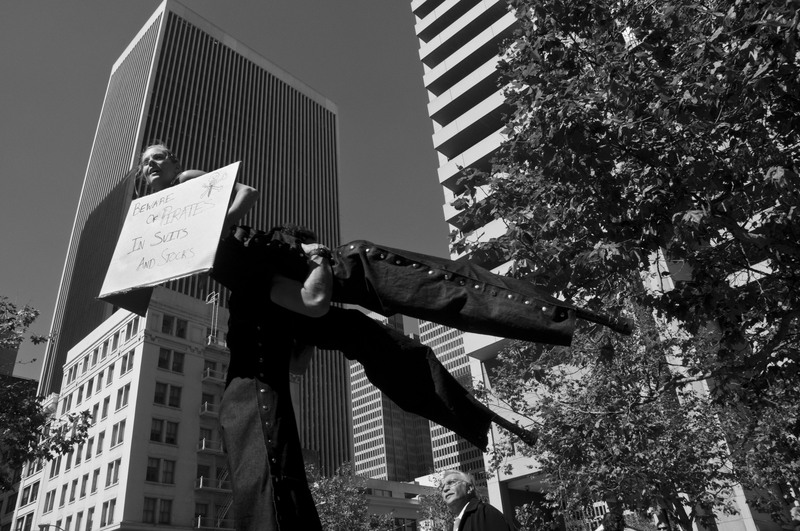 For example, the route of future protests, signs that need to be posted, or potential helpful organizations to contact. 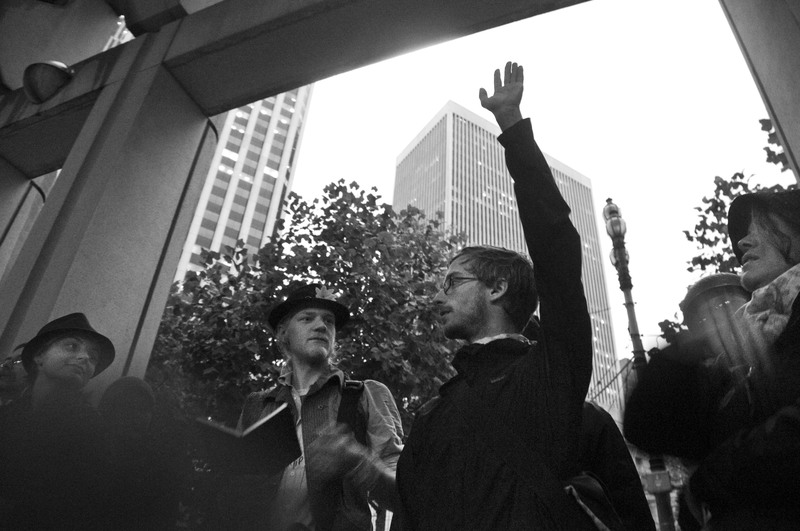 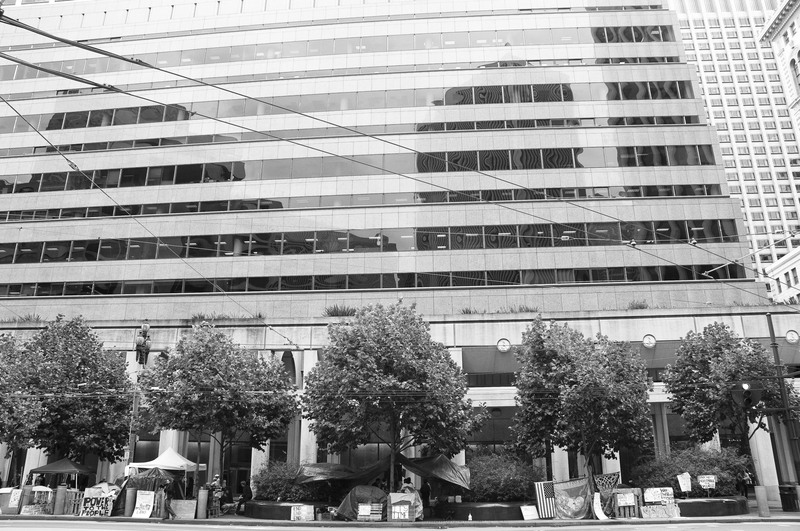 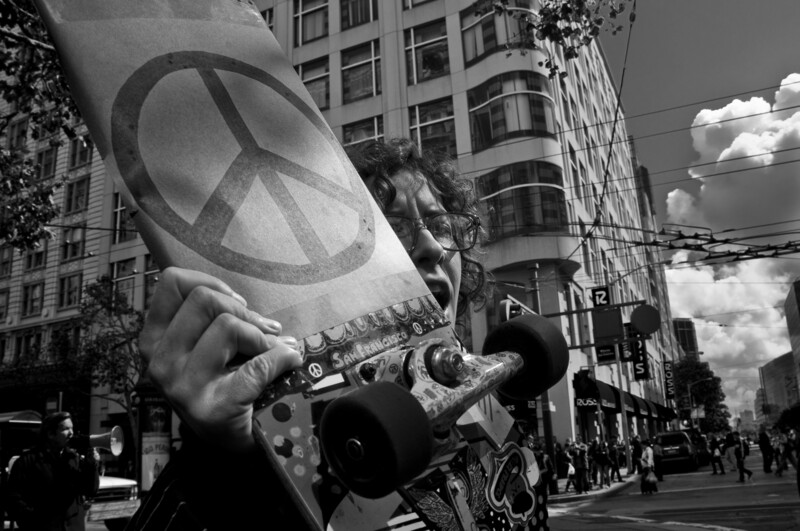 Bell Star has assumed the position as the official lawyer for Occupy San Francisco.